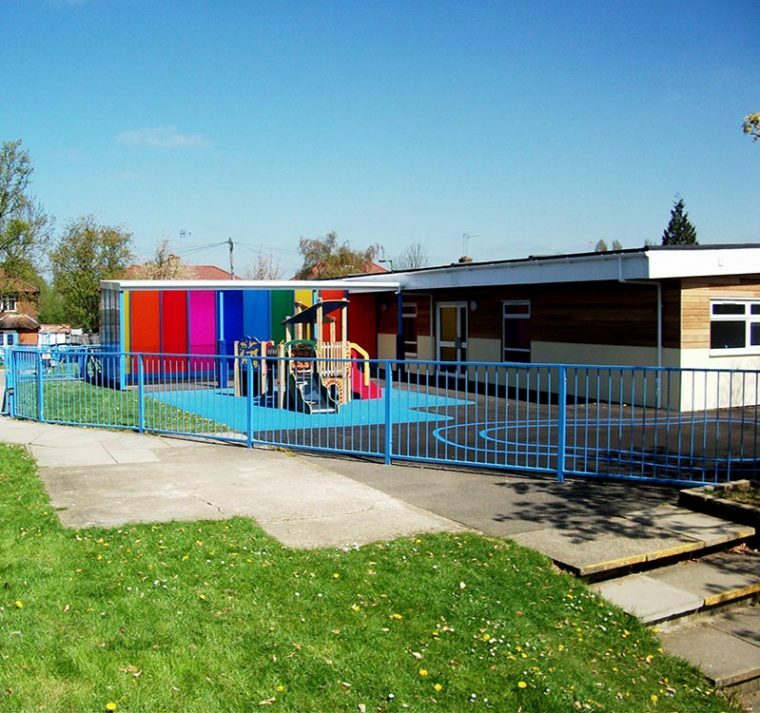 Aliport Commercial were first contacted in March 2015 about this project. Monksmead contacted Aliport Commercial after a recommendation from the main contractor building the extension at their site. 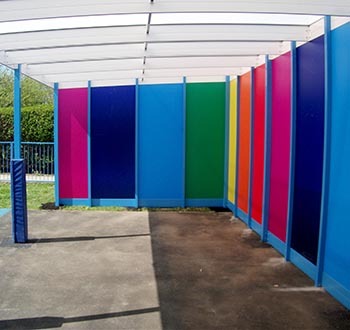 They requested that Aliport Commercial create a vibrant and colourful outdoor play area for their children with colourful side screens and post protectors. A Mono Canopy with the addition of Side Screen can create a stunning and creative space. . .